Posted December 29, 2015 by - filed under Waterproofing. There are multiple ways that water can enter your basement: over the sill plate, through the wall and from under the slab. A dry basement or foundation can decrease the risk of mold, insect infestation, and structural decomposition. At United Structural Systems, we can help you minimize water damage risk through the following approaches. 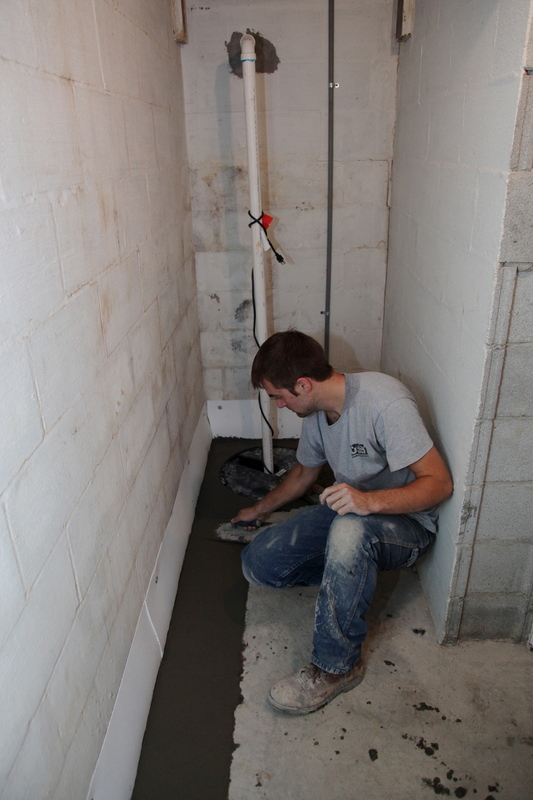 If your basement is built on a 10-inch layer of crushed stone beneath its floor, it can help defend against flooding due to hydrostatic pressure. Polystyrene insulation covered with a vapor barrier that doesn’t easily puncture should be placed between the crushed stone and your basement floor. To help fight water intrusion, we can install a drain pipe that runs from the inside of the basement floor out to a sump pump can force out any water that happens to collect inside your basement. United Structural Systems, Inc. is shown waterproofing the interior of a home by covering drain pipes that are connected to a sump pump. Your home’s foundation should be protected from water intrusion through a footing drain that leads water away from the exterior. Often the slope, or grading of your home should also direct water away from the home, but, in instances where it does not, these below-ground drains will help divert standing water away from your home. crush stone. Once properly covered with more crushed stone and back filled for added protection, this exterior drain will become your first line of defense against hydrostatic pressure. 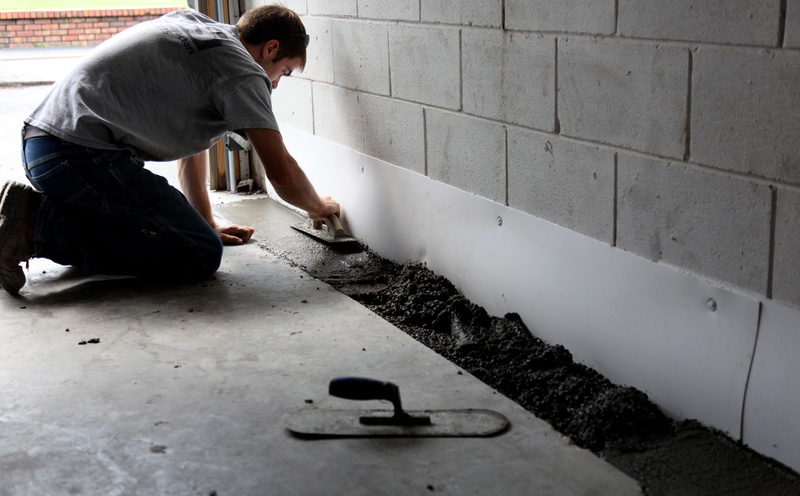 A waterproofing sealant will also be added to your basement walls for added protection. Both interior and exterior drains should lead water away from the home and to safe daylight. This means the water should run to an appropriate irrigation that does not cause erosion or flooding elsewhere. At minimum, the pipe should run at a 1/4-inch downward slope to be effective. United Structural Systems, Inc. has been waterproofing Middle Tennessee homes since 1994. Call us at (615) 227-2275 for more information or estimates on this or our other services, including masonry restoration, floor support, and vertical or lateral settlement.